General Motors has brought back Tony Cervone as SVP of global communications, effective immediately, as it continues to respond to a crisis caused by a decade-long delay in recalling Chevrolet Cobalts with malfunctioning ignition switches. 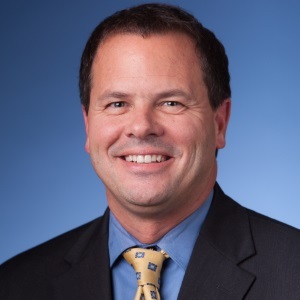 DETROIT: General Motors has brought back Tony Cervone as SVP of global communications, effective immediately, as it continues to respond to a crisis caused by a decade-long delay in recalling Chevrolet Cobalts with malfunctioning ignition switches. Reporting to CEO Mary Barra, Cervone is responsible for the company’s global communications, including products and brands, corporate, social media, executive support, and internal communications. Cervone declined to comment on his new position at GM. He has succeeded Selim Bingol, who had the title of SVP of global comms and public policy, as the automaker’s top communications executive. Bingol stepped down last month to "pursue other interests," the company said at the time. Executive director of communications and IR Randy Arickx oversaw Bingol’s former duties on an interim basis. Cervone previously served as EVP of group communications for Volkswagen Group of America. He was also SVP of communications at United Airlines, working on the company’s merger with Continental Airlines. In his first stint at GM, he served as VP of global communications strategy and operations and led the automaker’s international comms operations in Europe. Prior, he was VP for communications at Chrysler Group. No replacement is lined up at Volkswagen for Cervone, said Scott Vazin, VP of brand communications at the company. Vazin added that Cervone will be missed, and he wished him the best at GM. "Likely, we will consolidate the role with my position, but we won’t have clarity on that for another week or so," said Vazin, who has taken on Cervone’s role in addition to his responsibilities in the interim. Earlier this month, GM retained former PR leader Steve Harris to serve as its chief spokesperson for a limited time, focusing on the company’s response to the crisis. The issue with faulty ignition switches on Chevrolet’s Cobalt model has been linked to 13 deaths. His hire followed the company’s appointment last month of former Clinton White House crisis comms specialist Jeff Eller, who left his role as EVP and co-chair of Hill+Knowlton Strategies' global crisis practice in March to support GM with its response. The automaker also retained Washington-based lawyer Kenneth Feinberg in March to explore compensation for families of accident victims.